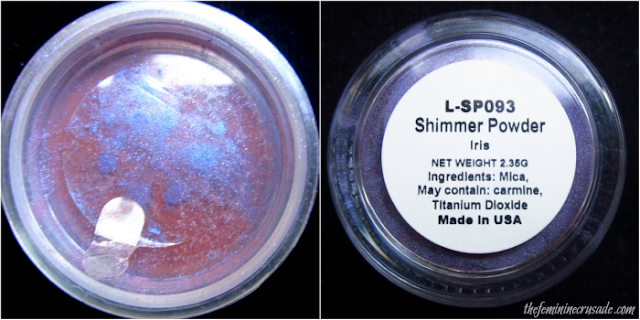 These ultra-pigmented shimmer powders are lightweight in texture, but rich in application. Multi-use shimmer powders are only limited by your imagination...go wild with creativity! I have already reviewed two Annika Maya products so you can check all about this Brigette’s Boutique new line here. This multi-purpose Shimmer Powder comes in 20 shades each containing 2.3g of product. 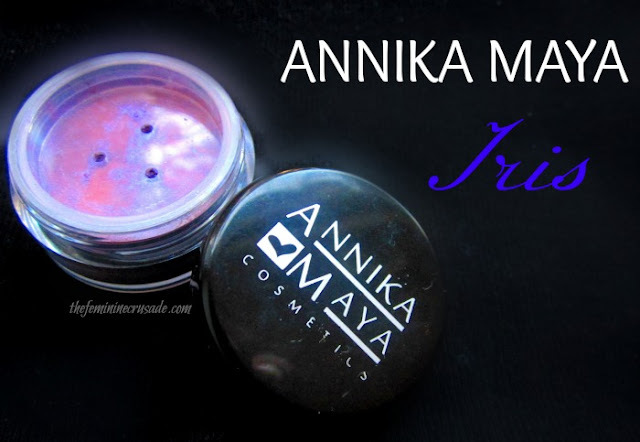 I reviewed an Annika Maya Glitter sample in Ruby all the while wondering about its original packaging. Today I have the Annika Maya Shimmer Powder and can really confirm that yes it comes with a sieve. Their sieve has both good and bad points. The good is that it’s pretty tight and the product just doesn’t come flying out, you have to shake and shake, which results in lesser accidents happening. The bad is that it takes a lot of time to get the product out. Apart from the sieve, the outer packaging is pretty simple. 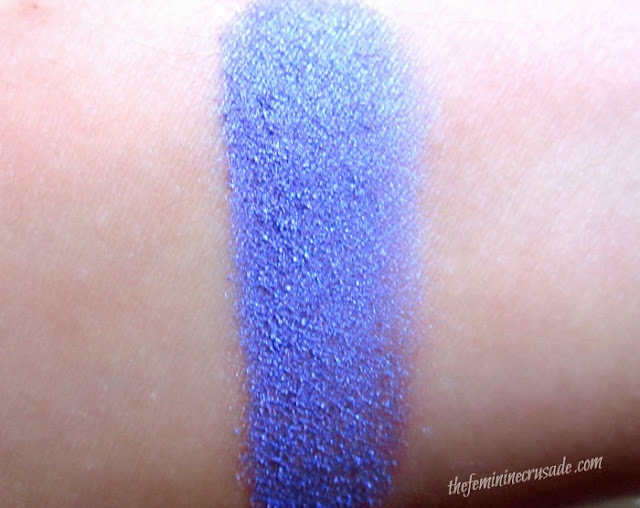 The moment I swatched this beautiful Iris I was mesmerized by the shimmer and by the purple peeping through the blue or is it the blue peeping through the purple? 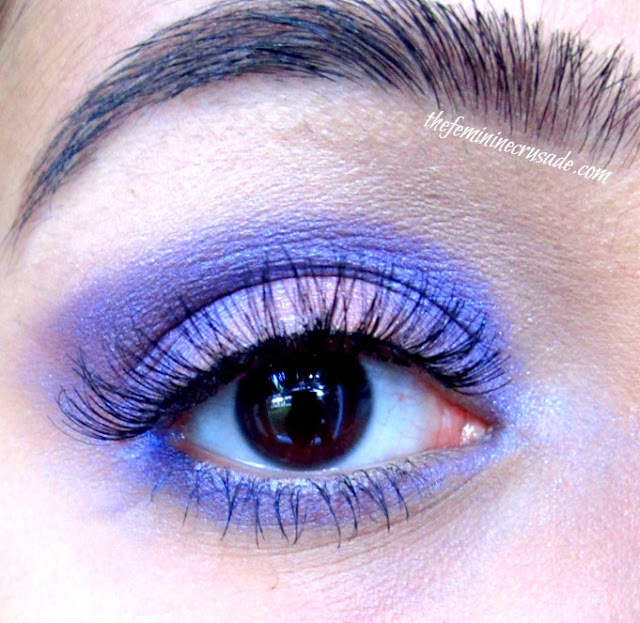 Whatever..this colour as you can even see on my eyes is oh-so-beautiful! 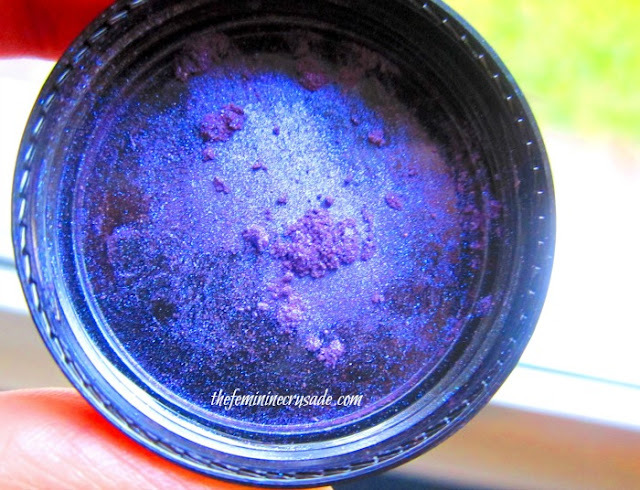 It is an iridescent violet with amazing pigmentation and staying power. Quite amazing! I wore it for 6 hours and it didn’t fade a bit. Fallout is minimal. It also applies smoothly and I had no problem blending it. Of course, like always, especially with loose eyeshadows, an eye primer is important or the product won’t stay. 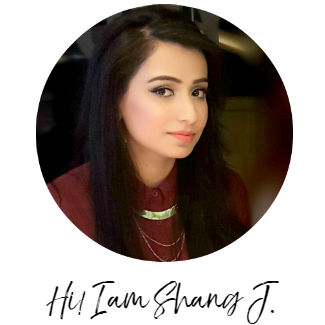 This is not only an eyeshadow powder; as Annika Maya suggests on their website can be put to multiple uses. 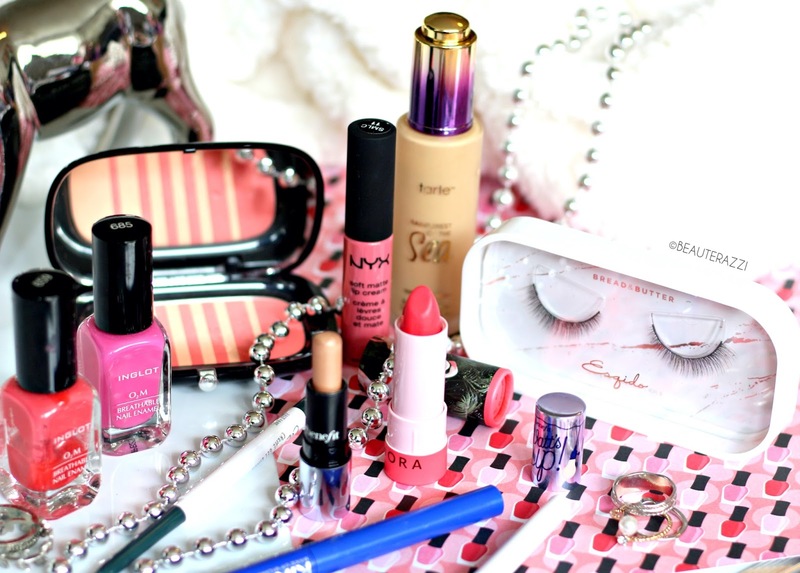 You can wear it as an eyeliner, which it works quite effectively. Could be mixed in your clear lip gloss and although this would be one wacky colour to wear you can make a lipstick out of it. Could also be used as a nail colour by adding to your top coat. Honestly, Annika Maya has some wonderful products with great prices up their sleeve, I am not disappointed uptil now and have tried three things from their line. If they give a little extra kick to their packaging they’ll be competing with any good high-street brand. 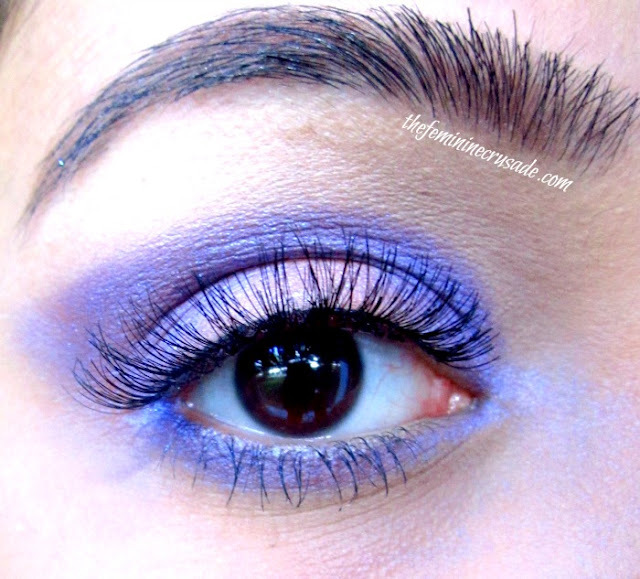 Iris has all we require from an eyeshadow (or a multi-purpose eyeshadow)! If it came in a nicer looking packaging it would have been selling like hot cakes.